Posted On February 07, 2018 by Team iCynosure. Wouldn’t it be great if we had tons of money to fund all our expenses, without a care in the world. Unfortunately, that is not the case with most of us. Including yours truly! Sometimes I do go overboard with my expenses and end up needing to borrow, and the best possible solution is to get a personal loan. A personal loan is a diversified credit option that is easy to access, unsecured yet flexible and is offered at a decent rate of interest. In simple terms, a personal loan is a convenient solution when you are cash-strapped. If one does have varying amounts of debts from creditors including amounts payable against credit cards, each instrument would have its individual rate of interest, varied due dates, late charges, etc. This may lead to mismanagement of payments, which may then incur higher interest, negatively impacting credit scores and a host of other issues. Taking a personal loan to consolidate your debt, pay off all outstanding creditors and be left with a single payment schedule to follow will ease out all your debt worries. Of course, this isn't the ideal situation but when either your loved one or you are unwell and there is a medical emergency it is best not to wait for the approval of cashless claim on your health insurance. You need money, and taking a personal loan will prove beneficial to not only your financial health but also your physical well-being. Starting a business or diversifying your work is all about initial investments. Taking a personal loan to kick-start the process is a good way to show commitment as well as get the cash flowing. Personal loans are always favourable as they have a fixed repayment term, between two to five years and come with a fixed rate of interest. However, it is advisable to compare the terms and costs of the loan and borrow within your credit limit. 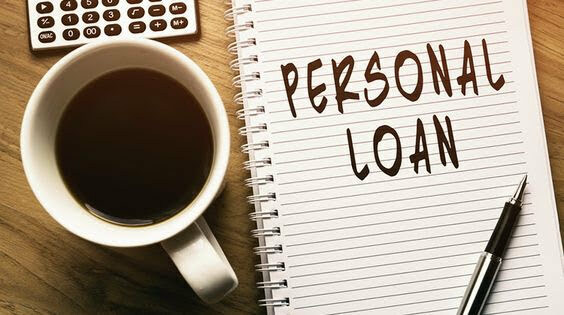 Have you ever got a personal loan? What was your experience?